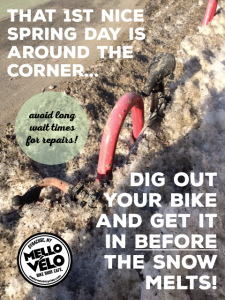 Get your bike in for repairs NOW so you can enjoy that lovely Spring day when it finally arrives! How sweet it will be! !